Do you ever find yourself “lost in thought?” I am willing to bet your thoughts are pulling to the past, the future, or an alternate past. In other words, you are thinking about what happened (or you wish had happened) or about what might happen. But life is flying by right NOW. And being lost to the past/future of your mind. We humans are blessed and cursed. We are blessed with the capacity of imagining and remembering. We file memories away through language. If I said, “What did you do last Saturday?”, you would search your memory database by wondering, “What DID I do last Saturday?” Then, you would recall the party or event you attended. As far as I can tell, my dog doesn’t recall much when I ask about our walk yesterday. Language. You can also imagine what could be through imagination. I could ask, “What do you want to do next summer?” Off your mind would go, imagining what next summer might hold. Asking my dog about his thoughts for next summer is likely not creating much of a mental thought process for him. But that curse. . . .
You can also think back on that bad encounter last week with your friend or spouse. You can worry about what next week might hold at work. You can remember those hurts and pains from childhood. You can worriedly think about your finances in retirement. And whether reflecting on good events or bad, imagining good things or bad, we can all lose track of this moment, this NOW. We humans have the unique ability (and dis-ability) of mentally living in times other than NOW. 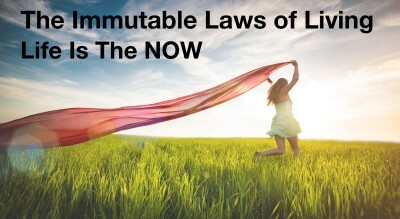 As I discuss in this week’s free audio podcast, Life is the NOW. So much press on self-esteem. And so little evidence that self-esteem predicts success or mental health. A higher-than-average level of self-esteem is, however, associated with juvenile delinquency and narcissism. Then why do we find schools, parents, and other organizations focused on building self-esteem in ourselves and our children? There is something else that has been demonstrated to help with mental health and well-being. That “something else” is self-compassion. When things are tough, do you give yourself a break? Not “let yourself off the hook,” but remind yourself that you are doing the best you can? My guess is you have the same thing in your mind that I do: a critical voice that is happy to point out my shortcomings and foibles. You might even listen to the same critical voice that you would tell a friend to ignore. Self-compassion is about understanding that you (and others) do the best you (and they) can do, given current state-of-mind and situations. Instead of listening to the critical voice, how about the loving voice that knows you are, like it or not, human. And that you are trying. 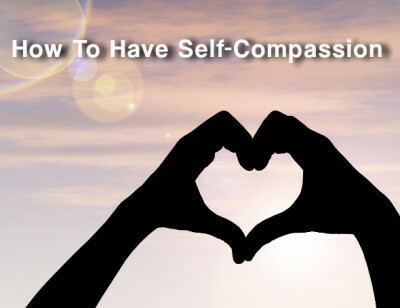 Learn about self-compassion — what it is and how to extend it to yourself. Think about 2 types of people. First, there are the ones that trudge through the day, waiting for the next thing. They may have a conversation with you, but nobody is really there. They are a bit vacant and distant. Often, their eyes are a bit dull. The second group of people seem to embrace the day — this moment. . . this moment. . . this moment. . . . When you speak with them, they are listening, hanging onto your words, eyes twinkling and flashing. That second group of people? They are Showing Up. They are present in the present. Where do you place yourself? Which group do you fit into? Which group would you like to be MORE like? Thrivers are the ones that Show Up to life. Learn how thrivers do it, and how anyone can do it more and more. We all can get lost in the Worries and Wishes. We can lose our lives to “What If?”. In the process, we lose focus on the present moment. Instead, we focus on things that may never be, either worriedly or wishingly. You see, your mind is excellent at scenarios that may play out in the future. In fact, the scenarios and scenes are probably Oscar-worthy. When I was sick, years ago, I realized that I could not live in the world of “What If?” It took all of my energy to live in the world of “What Is”. And it turns out, that was an important life lesson. At least 95% of the “what if’s” never happened. As a rule, men worry more about what they can’t see than about what they can. Worry never robs tomorrow of sorrow. It only saps today of its joy. Let’s make a shift. 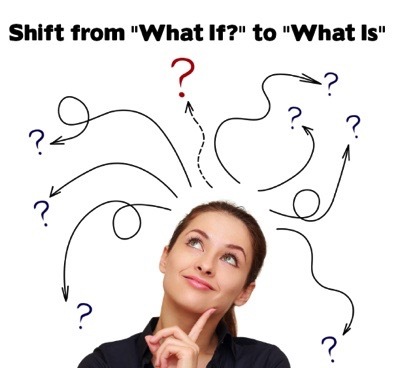 Let’s move from “What If?” Instead, let’s embrace “What Is.” That is enough for the moment. “Just a little bit further,” my brother kept telling me. I was out of shape, trying to get to the top of the mountain. Exhausted, I was just trudging along. My brother, leading the way, kept reassuring me that it was just a few more switchbacks. . . and then, the summit! It would be a beautiful view, he assured me. The trail was passing me by, but I was not noticing. I just kept trudging along. I missed the rhododendrons, the brook, the wildlife. . . pretty much everything along the way. All to get to the summit. We made it, but I missed the real treat: the journey up. Don’t we all do that? We believe that life will start when we get to _________ (fill in the blank). When we get our degree, when we get some money, when we get the promotion/job/career, when we have a child, when the kids are gone, when the house is paid off, etc., etc., etc. The problem is, that point is usually just beyond where we are. And in the process, we miss where we are. We await the future and forget the present (“present” is my word for 2015). Start thriving. Start enjoying right now. Start enjoying the process, on the way to what will be. 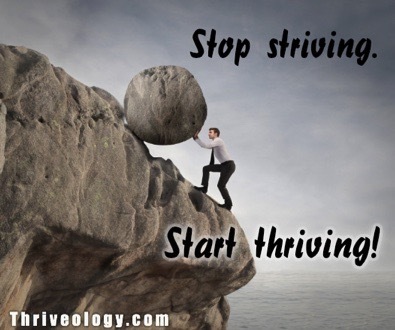 Join me in this week’s Thriveology Podcast, as I explore how to stop striving and how to start thriving. We fill every day up. In fact, we often fill every moment of every day up. And the moments pass. The days pass. We move from crisis to crisis, event to event. We try to do multiple things at the same time, and pretend it is a skill. In the process, we miss out on the richness of this moment. We miss out on being truly engaged in the world. Today, I have a special guest, Shawn Ellis. Shawn offers a different perspective. What if THIS moment (and this one, and this one. . . ) matters? 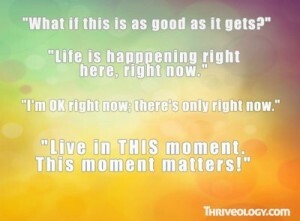 To be more clear, what if WE realize that this moment matters? Shawn, like me, is always learning and growing. One day, he realized the moments were passing him by in a blur. 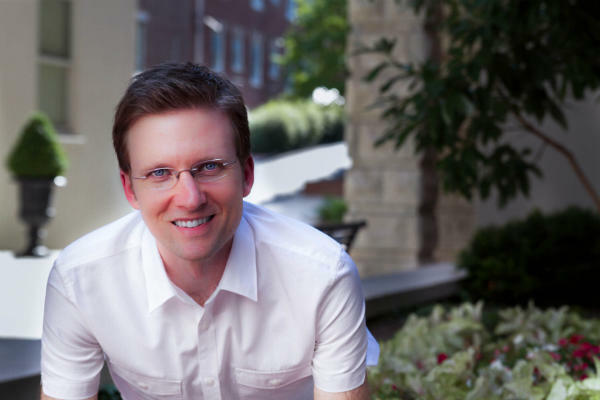 An entrepreneur, business owner, husband, and father, Shawn was pulled in all directions — defaulting to the myth of multi-tasking. One day, he realized that life was passing him by, even as Shawn was trying to live. 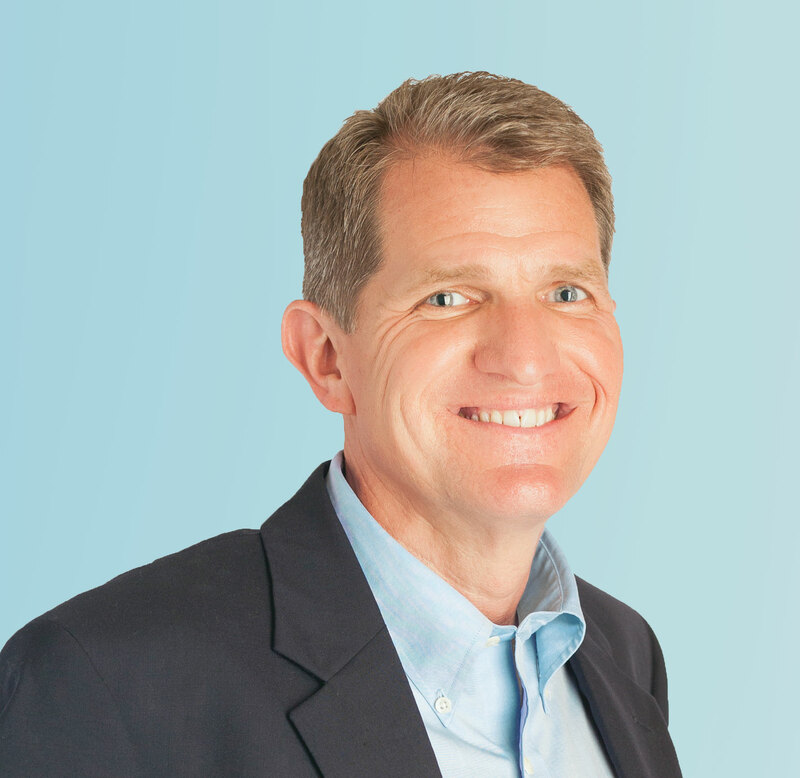 What Shawn discovered is something he is now sharing with people and companies all over: This Moment Matters. After listening to our discussion, you can visit Shawn at This Moment Matters (http://thismomentmatters.com).